The following review is an excerpt from a work in progress. The larger project details the rather odd circumstances that led to the authors fascination with Japanese toys. The article is written from the perspective, and with the limited knowledge he had in 1978 when he was building the collection. Therefore, much of the information on the toys will be inaccurate, the toy stores listed non existent, and the prices ridiculously low. OK, so what do you do with an extra fifteen bucks burning a hole in your pocket? You could take your girlfriend out for dinner. You could fill up the tank and take a couple of buddies to go see Star Wars again. You could buy a toy robot. For fifteen bucks? Well, twelve dollars and ninety-nine cents plus tax, actually. 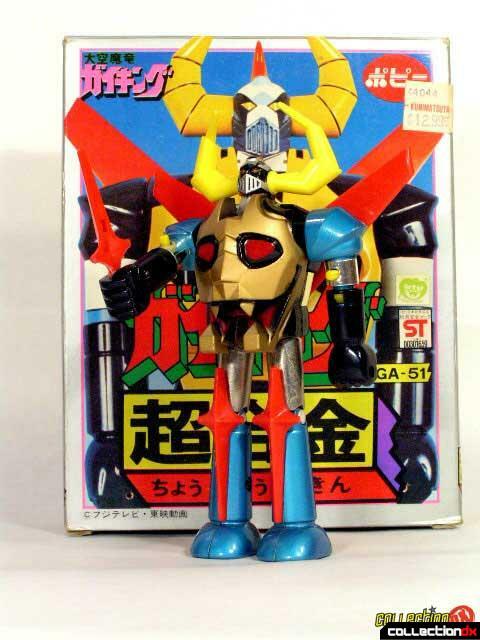 As far as I know, the Gaiking is a hundred foot tall robot warrior from a Japanese cartoon series. 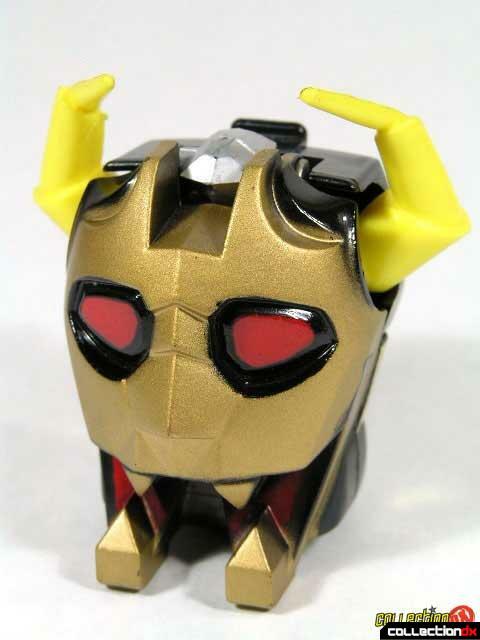 The toy is made by the Popy Company of Japan. It is precisely crafted, beautifully finished, well packaged, and almost all metal. This is one of those toys that you pick up, handle, and then say, "That's not really a toy". 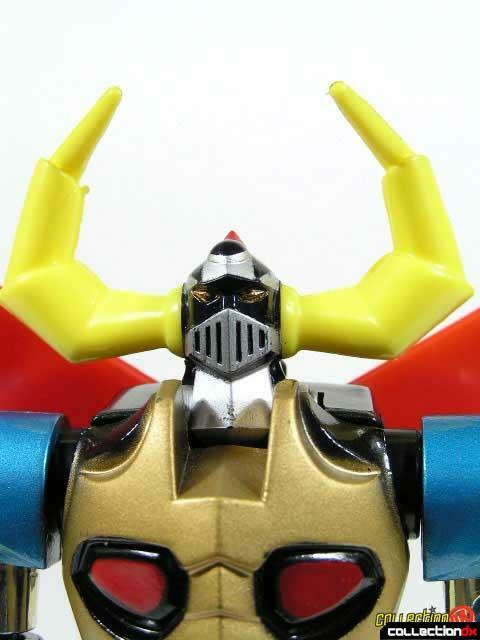 The Gaiking would look equally at home on a twelve year old kid's toy shelf, or a corporate executive's desk. It's the kind of thing that has "Collector's Item" written all over it. 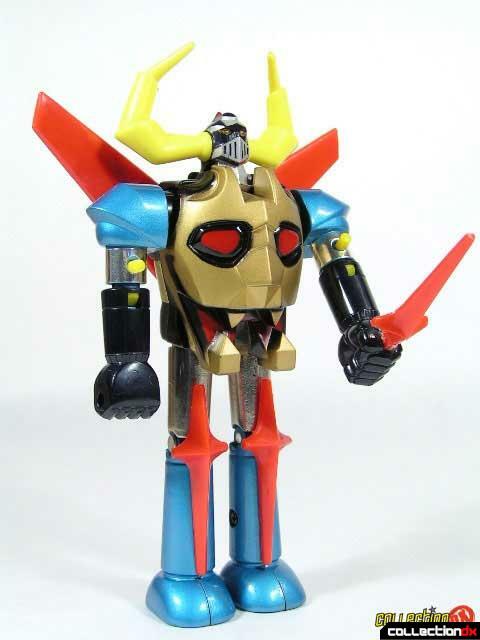 What is unique about these Japanese figures is that they have no motors, lights, or other battery powered gimmicks. Instead, they disassemble like some exotic puzzle, and then transform into something else, usually a space ship or vehicle of some sort. 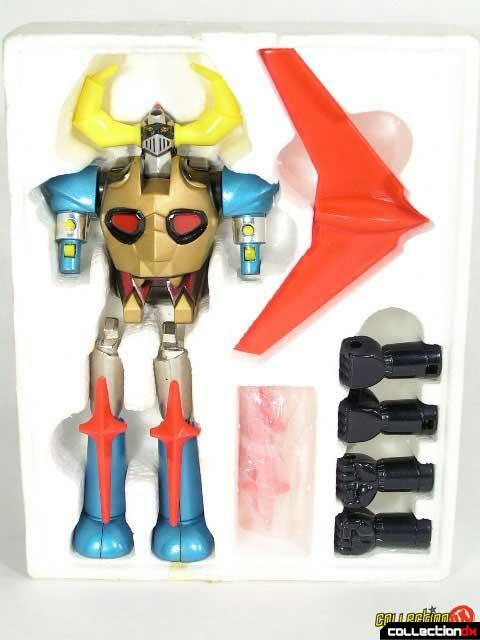 The Gaiking, after launching his spring-loaded fists, drops his legs, and opens up like a clamshell. 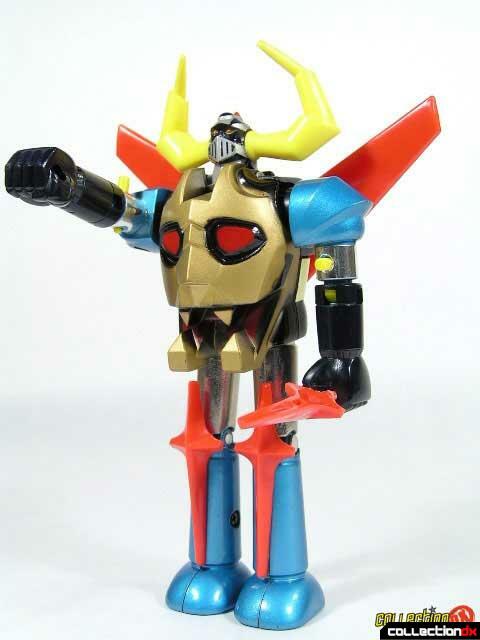 His shoulders detach, and his head folds back into the torso leaving a horned demon skull in place of the humanoid robot. My guess is that the transformed figure serves as the head for another, larger machine, but the box gives no indication of what that machine might be.